Are you looking for a small, robust LED copier that produces awesome graphic images? The Xerox Phaser 7800 copier might be the perfect kit for you. It’s the only tabloid size color printer in its class that delivers the full complement of advanced capabilities today’s most graphic-intensive environments require. With its superior high resolution color output this copier is perfect for businesses such as advertising agencies, graphic design shops, marketing communications firms, photography studios, etc. It boasts true color resolution of 1200 x 2400 dpi which is way above your standard desktop copier. The copier consistently produces realistic images, photos and graphics, plus sharp text and fine-line detail. This copier has the ability to produce a vast range of media from customer ready brochures and sales proposals, to posters, banners, booklets and business cards. 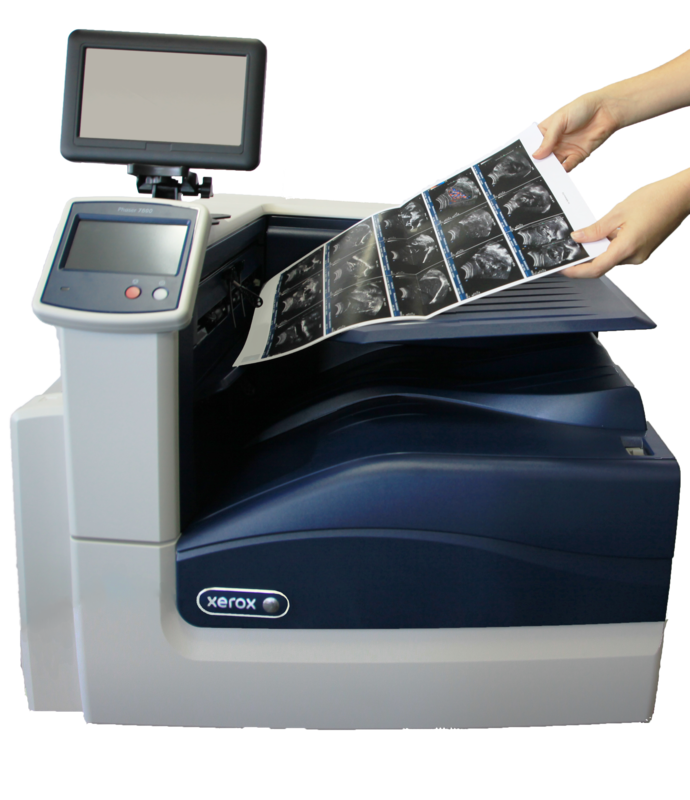 With its super easy color touchscreen you can be sure even if you haven’t used an advanced color copier before you will quickly become comfortable with its range of features. Its big, bright icons and intuitive menus make walk up operation faster and easier than ever. All consumables in the device are long life which means replacing less often and fewer maintenance hassles. Even when replacing they are easy to access and quick to replace. The Xerox Phaser 7800 was designed for total convenience.